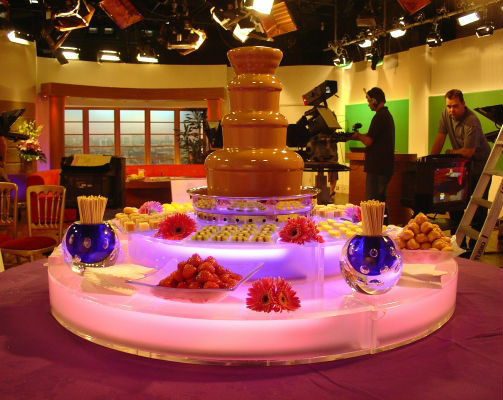 Unrivalled in the UK, The Original Chocolate Fountain has put on the most glamorous chocolate fountain events for famous brands and high profile organisations. 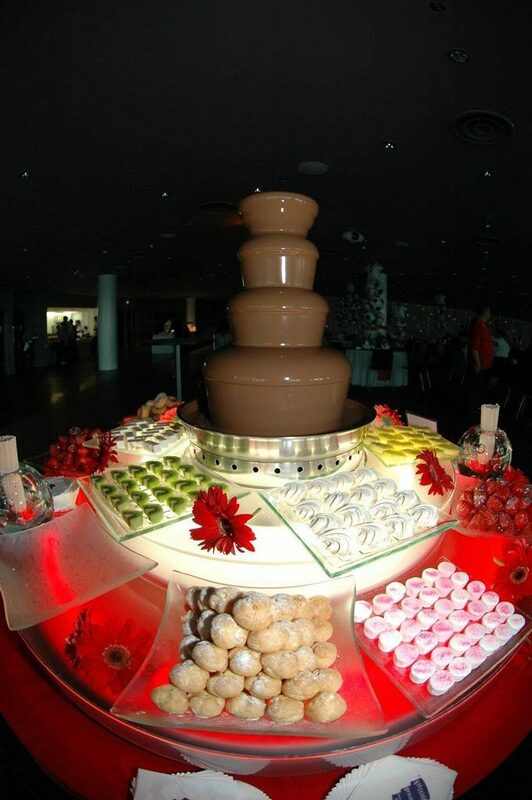 Our specialists in chocolate fountain events provide peace of mind for event organisers. Our chocolate fountain ideas are second to none and our service is expertly executed by our professional and charming staff.Always innovative, and offering new ideas for special chocolate fountain events and any sized office party. Our chocolate fondues are fun for company or corporate events. 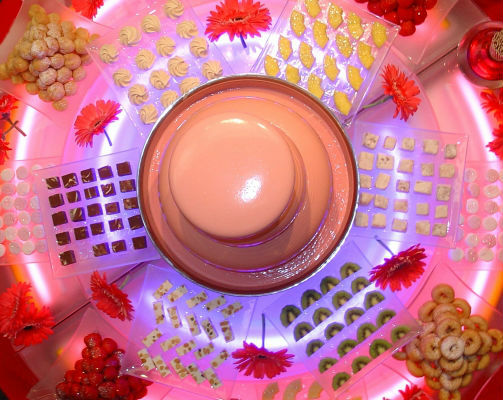 The Chocolate Fountain can design a specific fountain for your occasion be it a chocolate party theme, a branded event or a company social event. 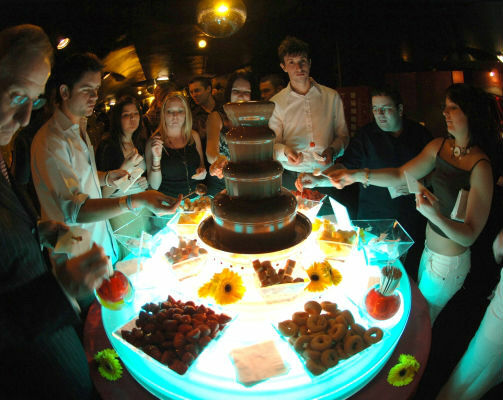 From chocolate party theme kits for corporate events to unique company social event ideas, we can take care of all of your chocolate fondue needs and create a luxury chocolate fountain experience. 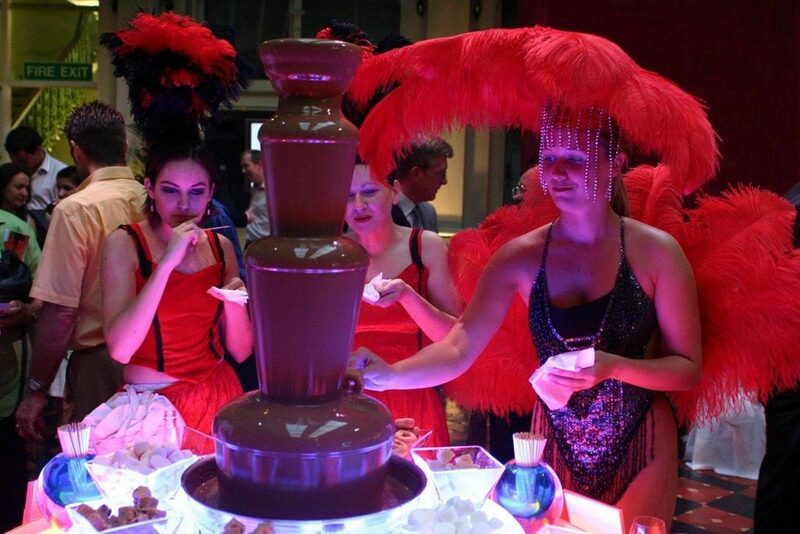 We set up chocolate fountain events across the UK which will give your invites an unforgettable experience. Party goers can select from any of the goodies provided, dip them into the chocolate and savour the moment. Favourite dippers include strawberries, fresh cream profiteroles, mini-donuts, marshmallows, homemade Cornish fudge and exotic fruits. For your Chocolate Fountain you can choose from a wide range of the finest Belgian couverture chocolates to run in the fountain – milk, milk hazelnut, dark or white – to name but a few. 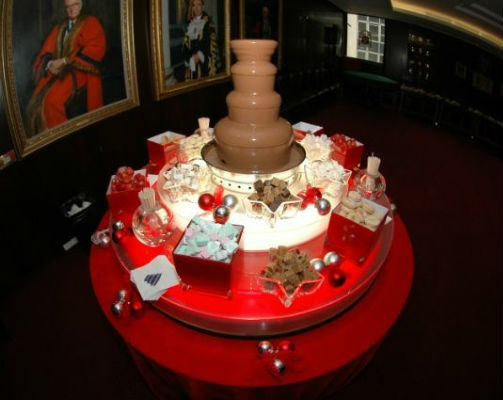 The Chocolate Fountain package includes a professional uniformed operator to set up and run the fountain throughout your event, superior Belgian chocolate and a delicious array of dipping foods tailored to your requirements. It is an all inclusive package with every aspect taken care of to ensure that the fountain is looking stunning at all times. The service is totally tailored to your event. 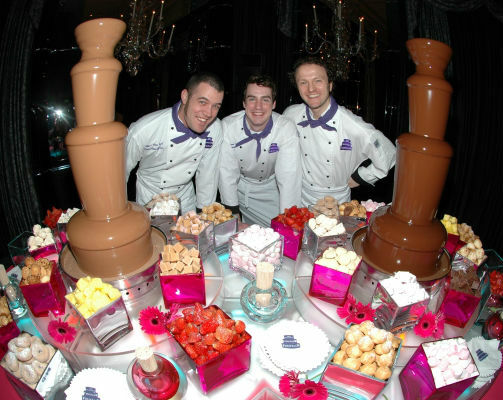 The Chocolate Fountain Team will provide everything, including tables and cloths. Table size is 5ft x 9.5ft. It takes 2 hours to set up. Would arrive in a van with 2 staff. 2 x 13 amp sockets within 5 metres of the location of the fountain. 2 x meals and soft drinks for the operators. Area out of sight of clients for spare food, and prep area.